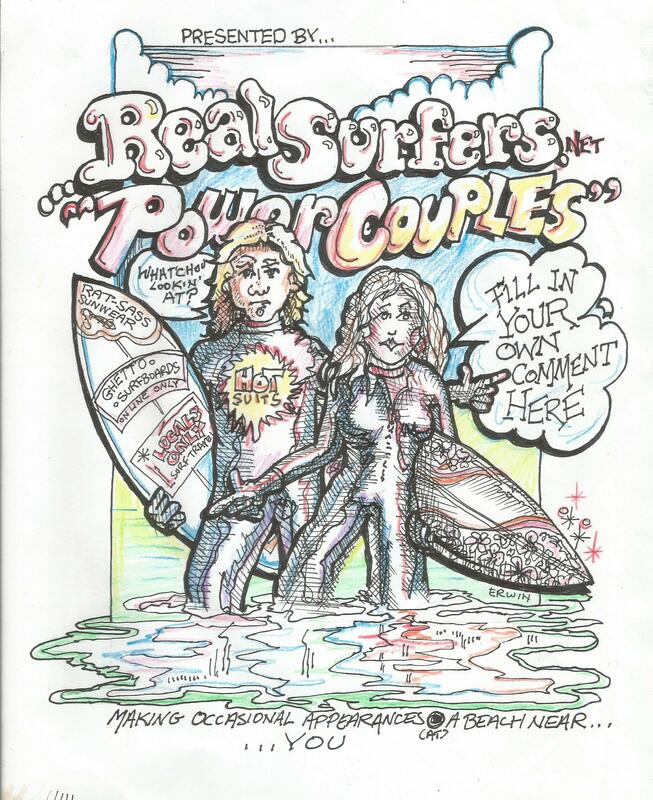 This entry was tagged Erwin Dence illustrations, Jeff Parrish, real surfers, surf drawings, surf stories, surfing power couples, surfing the Straits of Juan de Fuca. Bookmark the permalink. Erwin, I have a friend over here (a plein air artist who works in the produce dept. of the local grocery) who would be interested in a surf companion out in the strait … I told him I knew of a guy that would be fun to troll with, and he said guruvy, so … if you’re open to/interested in that, he’s Bjorn Lundeen at bjornlundeen@hotmail.com — very cool fellow and maybe a nice change o’ pace for you. Hey, I don’t seem to know how to delete a comment, other than those I keep getting from, evidently, English students in foreign countries, unless, heaven forbid, they’re just folks who have little to no control of the English language, but, any of you surfers in the Whidbey area who are willing to pass up supposedly perfect waves coming straight down the straits (I haven’t yet gone that direction for surf) might contact Bjorn. No wierdos. Or is it weirdos? Anyway, I’m going to contact Bjorn, see if he’s a wave hog, wave dog… whatever.